March is finally here bringing a new SOTM and a new Special. (Click here for info about the SOTM and click here for info about the current specials. Even though I am looking at snow outside my window, we really are one step closer to leaving winter behind. 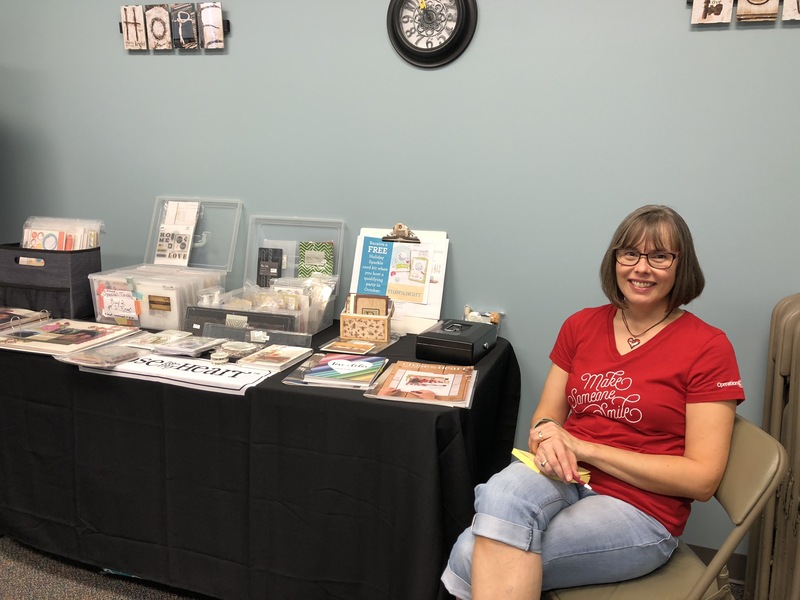 In the spirit of anticipating spring, I want to let you know of a Crop where I will not only be crafting, but will also be having a CTMH booth. It is coming on Saturday, April 27, 2019 9:00 AM- 8:30PM. 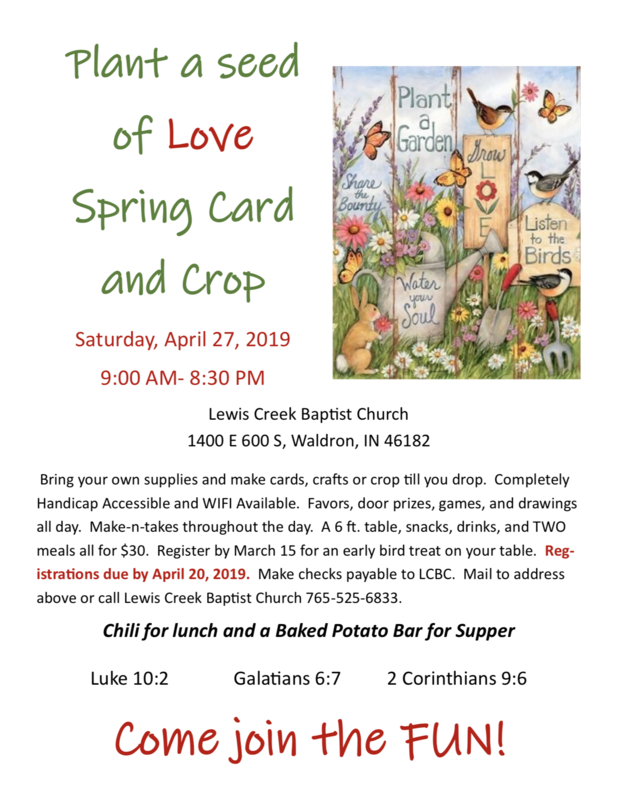 For an extra treat register by March 15th; and registration includes: one 6 foot table from 9AM-8:30PM on April 27th at Lewis Creek Baptist Church, 1400 E. 600 S. Waldron, IN 46182. Chili for Lunch and a Baked Potato Bar for supper and much more. $30.00 registration fee due by April 20th. 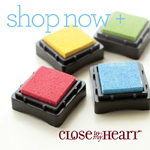 All proceeds go to the LCBC building fund. For questions or directions call Vicki Pits (Building Fund Raising Commitee) at 812- 343-1355, or email pitsfam@tds.net or on Facebook. She can email you the registration form. I look forward to this day to craft & meet some new crafting friends. I hope some of you can join me.